Got this phone a few days ago and I'm impressed. I use an iphone 3GS as my primary device, but I really needed a second phone for work (too many emails!). Physical properties - It looks great, feels comfortable to hold and it's light. The plastic/rubber back doesn't attract fingerprints and it also keeps the phone planted on any surface. The keyboard is also very usable, I was worried about this, but it actually seems to work. Wouldn't recommend it for extensive use, but for short email and SMS its great. The speakers are good, but the camera isn't. Screen is sharp and supports multi-touch. A silence switch like the one on the iphone is always a nice touch. The magnetised cover for the micro USB charging/data port is a very nice touch. Software - webOS is amazing. Its very easy to use and looks fantastic. Don't really know what to say apart from this makes my old nokia with symbian 60 look like its ten years behind the times. Works very well with gmail, hotmail and custom accounts (imap for work). Call Quality - Really good, better than my iphone in this area (but then really making phone calls is the iphones one major weakness). Apps store - Not that many apps and this is a real shame as webos is a joy to use (second only to iOS for usability and looks, sorry both blackbery OS and Android don't have a patch on it). Performance - Its not the fastest phone, but its more stable than my old nokia (despite numerous firmware/software updates). Once an app is open it works well, but there can be a delay in opening app. Battery life is ok - lasts about a day (same as most smart phones I've seen or used - apple, HTC, Samsung, palm, etc.). If battery life is the key need then I wouldn't recommend this phone, but is uses micro USB so chargers are never find to hard. This phone cost me £100 on O2 in the UK - absolutely fantastic value for money. 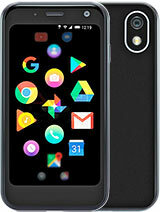 this phone seems really good and i was thinking about getting one but i dont really know because all of the comments all you other guys have put down ??? anokye, 29 Oct 2010i love this fone.....is it really necessary to have a data plan to start the phone up?i am buying through ebay but don't want data plan. have you ever used a windows mobilke that didn't run out of battery after 7hrs of standard/light use? Users of this phone, pls educate me. Does it support Nimbuzz and VOIP calls. Currently I am using Nokia E75. The only reason I switched from Palm to Nokia bcoz it supports both Nimbuzz and VOIP calls. 1. Could anyone please tell me that does this phone support video recording, cuz the old pixi doesn't. 2. Are file transfers possible on bluetooth, cuz the palm pre doesnt allow file transfers on bluetooth. well it seems to be very handy set...i liked it,its a good phone but i also agree with some applications are really uncozy! JIN, 02 Aug 2010This is a very nice phone. I don't understand why people think this a bad phone. People don't ... moregood phone??? palm phones are crazy phones...OS is not stable..manufacturer defect is another crazy thing..this is just a waste..
is it possible to use another SIM card outside U.S?? This is a very nice phone. I don't understand why people think this a bad phone. People don't know a good phone if they saw one. this phone look nice, light and slim, but why the score is so low?? ive had this phone for just over a week now & i love it.